The Raspberry Pi is a low-cost minicomputer created to help make tech learning easier. It has a number of components (USB ports, Ethernet port, SD card slot, Wi-Fi antenna ports etc.) which helps you perform computer-based operations, and is particularly useful for learning programming languages such as Python, Scratch, and Wolfram etc. Here we have provided a guide to help you understand how to get started with the Raspberry Pi and what you will require for your first project. Before getting started with the Raspberry Pi, there are a few more additional components you will require. We will discuss them before we proceed. 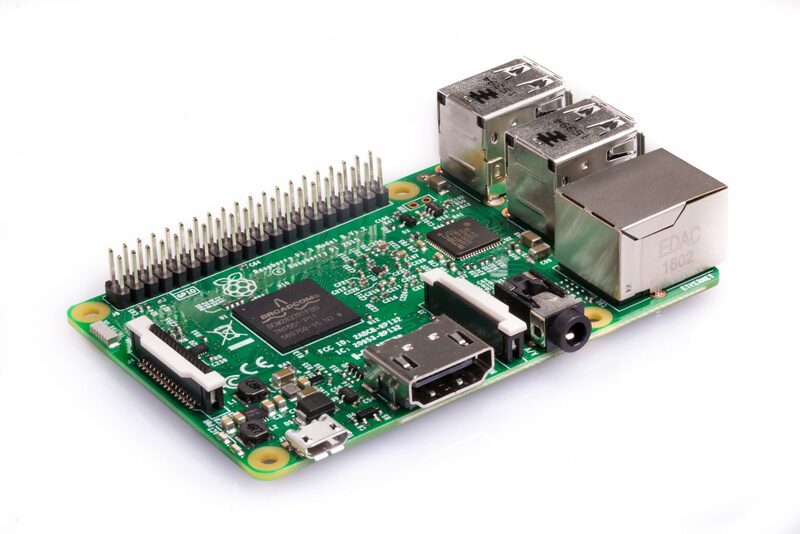 1: Raspberry Pi: Raspberry Pi is available in 6 different models. The Pi 2 Model B or Pi 1 Model B+ and Pi 3 Model B has the widest capabilities and versatility and are ideal for beginner projects. The Model A+ is a board that helps in the building of robotics, but lacks an Ethernet port and has only one USB port. Raspberry Pi Zero can be considered a miniature version of the Model A+ with a micro USB port and a mini HDMI port for 1080p output. The Raspberry Pi Zero W is also similar but supports wireless and Bluetooth connectivity. 2: Power Supply: You will require a 5 V micro-USB power supply. Some mobile devices also use them so you may have one lying around already. If not, you can easily get them cheap online. 4: USB Mouse: You can also use a Bluetooth keyboard and mouse with the help of a Bluetooth adapter. 5: Micro SD card: Your micro SD card should have at least 8 GB storage. You can either download the NOOBS (New Out Of the Box Software) online free or you can purchase an SD card pre-loaded with Raspberry Pi’s NOOBS. 6: Micro SD USB Card Reader: This will help you connect the micro SD card to your PC in order to download software onto it. You can get one from your nearest electronics store. 9: An Ethernet cable: Some Raspberry Pi projects may require a connection to the Internet for setup. First, you will have to reformat the micro SD card. Reformatting will help remove all files and clear the card so you can then download the OS. For this, insert your micro SD card into the ‘USB card reader’. Then, connect this card reader to your PC. 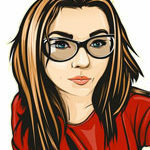 Now download SD Formatter 5.0 from this link. You can Download SD Formatter according to your Operating System. Once downloaded, open SDFormatter_5.00B.pkg in your ‘Downloads’ folder to install the SD Formatter5.0. Follow the instructions provided in the installation window. Now click on the Launchpad icon (it looks like a silver rocket ship) in your Dock. Next, find the SD Formatter 5.0 app. You can move between Launchpad windows by either swiping left or right with your trackpad or by clicking the ‘next page’ icons at the bottom center of the screen. Now click on the app to open it and a formatting window will open on your desktop. Next click on the dropdown menu, go to ‘Select Card’ and select your micro SD card. Finally click the ‘Format’ button. Once formatting is complete, you will be notified through a notification window. Select OK to continue. Now we will move on to downloading the NOOBS onto the micro SD card. Once you download it, you can configure your OS (operating system). First, connect your micro SD card to your computer. Next, you will have to download the ZIP file of NOOBS Version 3.0.0. It will take a while to download. Once downloaded, open the NOOBS file from the ‘Downloads folder’ in your Dock. Next, select the ‘first file’ inside the NOOBS folder. Then scroll down and press shift and left-click on the ‘last file’. Now drag and drop all the NOOBS files you selected into the SD card icon directly on your desktop. Next, right-click on the ‘SD card icon’ and select ‘Eject (SD Card Name)’. Now remove the card reader from your computer and remove the Micro SD card from your card reader. Now we will move on to setting up your Raspberry Pi. For this, first, insert your micro SD card into the card slot of the Raspberry Pi. Then plug in the USB keyboard and USB mouse into the USB ports. Or you can connect the Bluetooth adapter with one USB port. Next turn on your monitor (or TV set) and set the proper HDMI input. Connect the HDMI (or video component) cable with your monitor and connect the other end with your Raspberry Pi. If you plan on connecting to the Internet then connect an Ethernet cable to your router and the other cable with your Raspberry Pi. Instead, you can also connect a Wi-Fi adapter to your Raspberry Pi. Now connect your Raspberry Pi to the 5V power supply. This will boot up your Raspberry Pi. If you are a beginner you should start with the Raspbian Operating System. It can cover hundreds of projects and is also easy to work with. After following the above steps, you should see a start screen appear on your monitor. 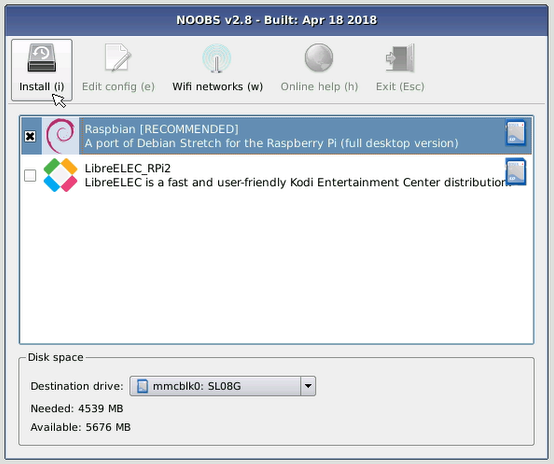 From here, you will have to select ‘Raspbian’ and then select ‘Install’. You will see a warning window pop up. Click ‘Yes’ to confirm. (This is notifying you that the micro SD card will be overwritten with an uncompressed version of the Raspbian OS). Now, wait for the Raspbian OS to install. Once installed, the Raspbian will begin to automatically boot. Once Raspbian begins to load you will see a code start appearing on your screen until the process is not complete. Once complete the Raspbian home screen will appear. Here you will have to configure your Raspberry Pi system and add the location, date and time. First, click ‘Menu’ in the upper left corner of the screen. Then select ‘Preferences’ from the dropdown menu. Next select ‘Raspberry Pi configuration’, this will open a configuration window. Here click on the ‘Localisation’ tab. From here set your location from ‘Set Locale’, then set your local time from ‘Set Timezone’, and finally set your keyboard language from ‘Set Keyboard’. In order to reconfigure your Raspberry Pi, you will have to reboot it. Click yes on the Reboot window to do so. With this, you are done getting started on your Raspberry Pi and you can now use it on the projects you wish!